Star Cruises announced the return of SuperStar Libra to Penang after a month-long refurbishment that restyled her various facilities. Adding to the new excitement is the launch of two special cruises departing from Penang to Krabi / Yangon / Phuket on 26 May and 11 August. 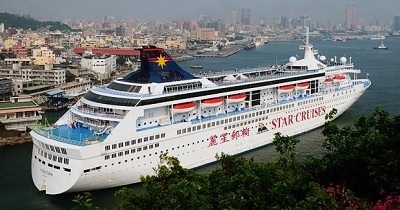 The special cruises mark the return of Star Cruises to Yangon after SuperStar Virgo’s first call to the port in 2003. It will be SuperStar Libra’s first Yangon call since homeporting in Penang in 2010. Guests can experience Yangon, known as “the Garden City of the East”, through a wide range of shore excursion selections that include Myanmar-style dining at House of Memories, visits to Bogyoke Aung San Museum - dedicated to the founder of modern Myanmar General Aung San - and shopping for precious Burmese gems. SuperStar Libra will continue offering well-received itineraries from Penang to idyllic Phuket and Krabi departing every Sunday. From Wednesday to Saturday, passengers can immerse in another dimension of cruise fun on SuperStar Libra’s daily 1-Night high sea experience. Welcoming passengers after the refurbishment, the 10-deck SuperStar Libra houses 677 passenger cabins. The refurbishment also included upgrade of restaurants, entertainment & recreational venues and especially noteworthy is the swanky duty-free shopping space. Guests can now enjoy a new shopping-at-sea experience in the 1,200-square-foot newly-designed retail area that features retailers such as China Duty Free (to be opened in March), upmarket wristwatch and jewellery boutique Canopus and gold specialty shop Eternal Elements. Duty-free merchandise includes designer handbags, perfumes, accessories and an array of fashion items. The refurbishment has also given SuperStar Libra a facelift with a new hull artwork that depicts the zodiac scale lifted by a soaring dove amidst a sea of four-leaf clovers – an imagery that emanates peace, prosperity and luck.